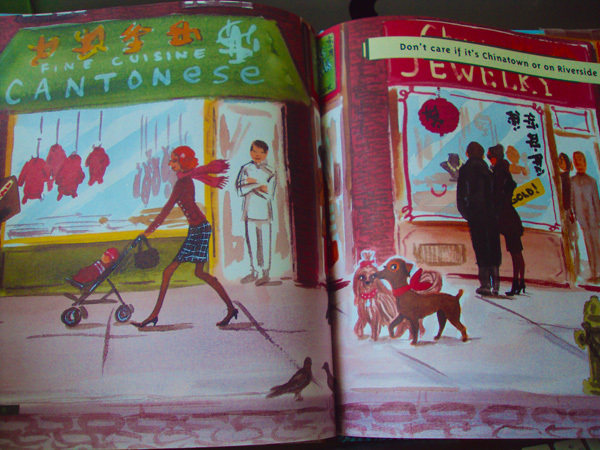 New York State of Mind in picturebook version. 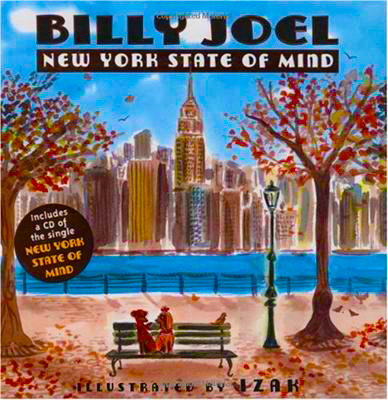 This lovely book is a wonderful collaboration between THE Billy Joel (Music Icon, winner of 1994 Billboard Century Award, world-famous singer-songwriter) and IZAK, a Paris-born illustrator who has made New York his home. 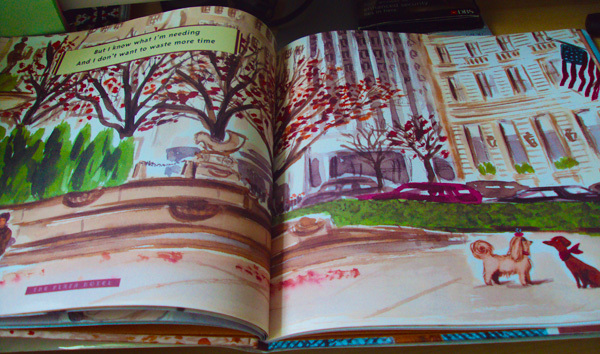 The entire book is a water-colored splash of tribute to the city of New York. The book begins with Billy Joel’s world-famous lines “Some folks like to get away… Take a holiday from the neighborhood” – and that singular line alone is enough to take you to the brightly-colored, vibrant, pulsating with life that is New York. 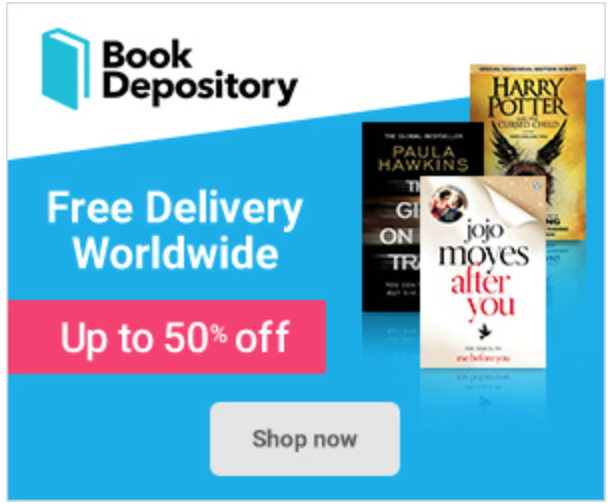 The stylish drawings are likewise effective in getting the reader in an enthused, exciting, lively holiday mood. 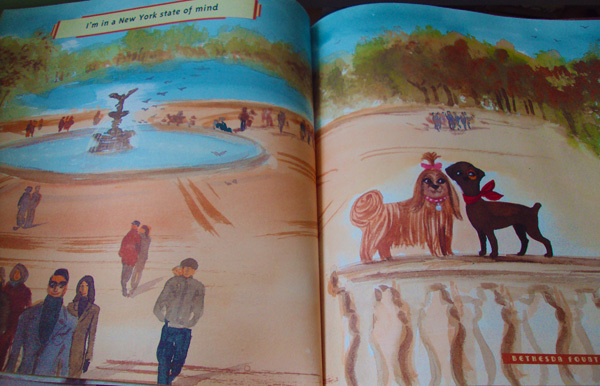 The book is unique in the sense that it tours you around New York in its pages through the eyes of “a plucky little dog” (as noted in the jacketflap) who managed to find love as he was walking around at the Plaza Hotel. Naturally, the subway is artfully represented along with Times Square and the Radio City Music Hall. The highlight, of course, remains to be the Empire State Building – witness to thousands of marriage proposals, divorces, infidelities, break-ups, reunions, and a countless other human foibles and celebrations. The lovely illustrations may be credited to Izak’s stylist background. Most of his illustrations could be seen in leading fashion magazines. His clients include Neiman Marcus, Celine, Henri Bendel to name a few. This picture book would undoubtedly appeal to those who are deeply into fashion: sleek, with the right sprinkling of pizzazz, and timeless in its classic essence. If you want to know more about Izak, click here to be taken to his official website. This is his first children’s book. The book also comes with a CD of Billy Joel’s New York State of Mind – to get you into the groove of biting that big apple. 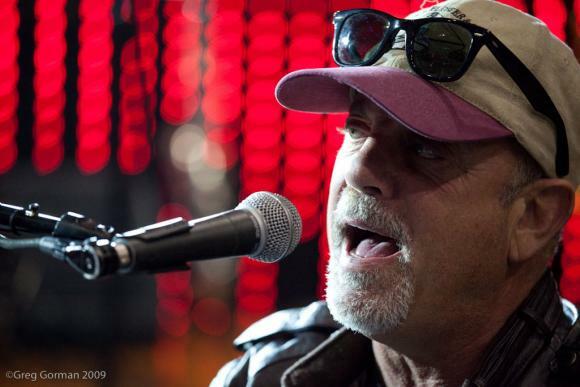 And naturally, we include in this review, Billy Joel himself Live in Concert. 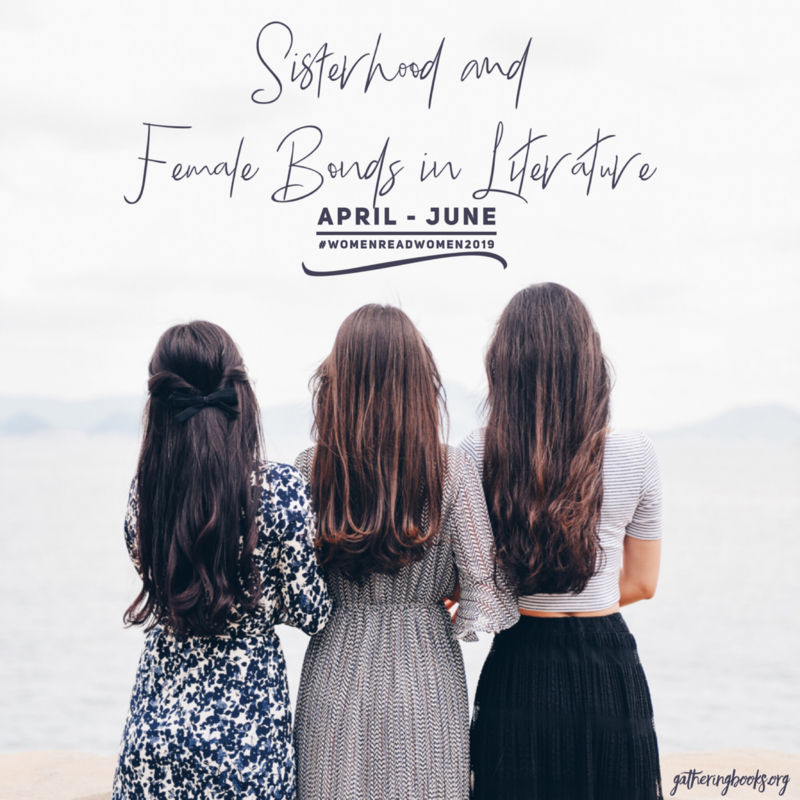 Let’s get ourselves into a New York State of Mind, GatheringBooks readers. Rock on. Book borrowed from the community Library; Other book photos taken by me.